Does the Taiwanese Boomerang Exist? When overseas friends were in Taipei recently for Chinese New Year, I found myself in a familiar position. Sitting around coffee tables or on bar stools, we were deep in conversation about the age-old topic of moving back to Taiwan. Those talks inspired me to put together a quick questionnaire so I could go beyond my own circles. I wanted to know — do other overseas Taiwanese have plans to move back as I had a few years ago? Why or why not? Before I get into the results, there’s a distinction to be made between this and other polls about expat-friendliness or discussions about how to attract foreign professionals. 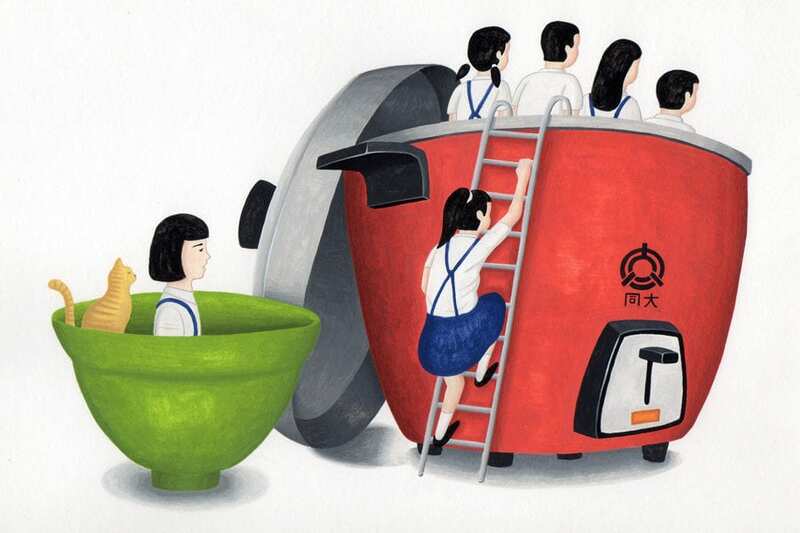 This is about overseas Taiwanese. 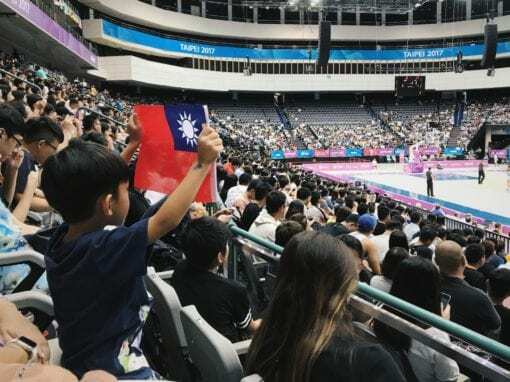 In other words, people who already know Taiwan, were born or grew up in Taiwan, and have strong family ties to Taiwan. Hence, the Taiwanese boomerang. 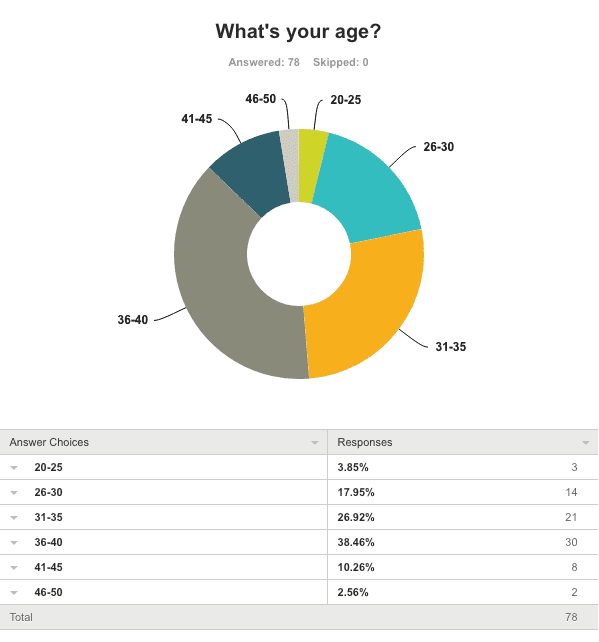 The questionnaire was live on SurveyMonkey for two days and received 78 responses from a broad mix of friends, acquaintances and random strangers around the world. Q1. 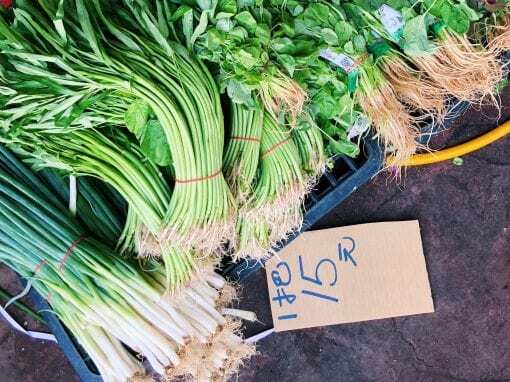 Do you see yourself moving back to Taiwan? 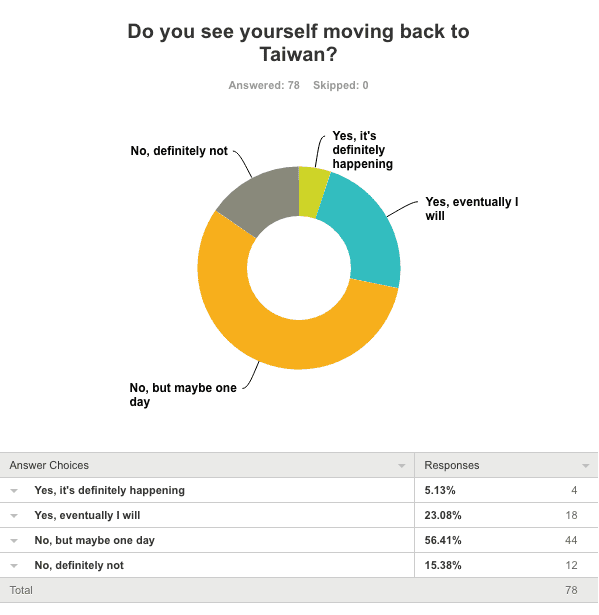 Only 30% of respondents saw themselves moving back to Taiwan. While 70% answered no, more than half of the respondents were at least open to the idea. Q2. What would make you move back to Taiwan? This was a “select all that apply” question. Unsurprisingly, the top answer related to family. Q3. What makes you feel anxious or nervous about moving back to Taiwan? This was another “select all that apply” question. Also unsurprisingly, the top answer related to Taiwan’s uncompetitive job market. Q4. 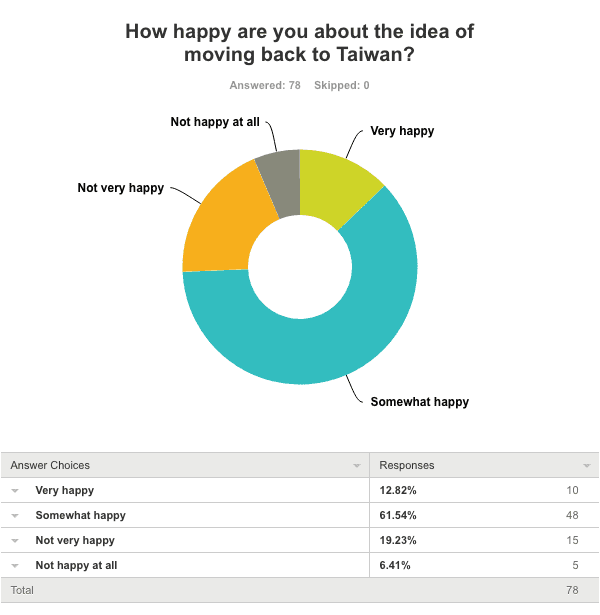 How happy are you about the idea of moving back to Taiwan? People are conflicted. They’re understandably torn between being closer to family and sacrificing career and networking opportunities. This was true for me as well. Q5. What specifically are you happy or excited about? If you’re an overseas Taiwanese and didn’t answer the survey, would you move back? 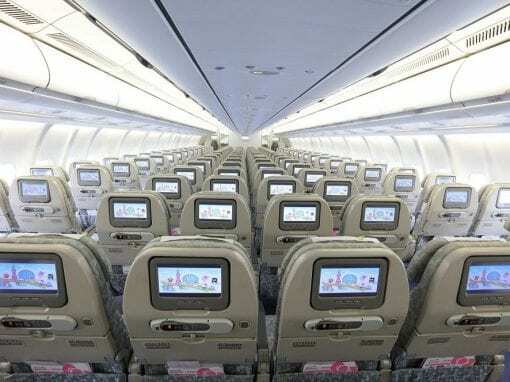 Or if you’re an overseas Taiwanese who has already moved back, what’s your experience been like? Would love to hear your thoughts below. As usual, strictly no politics.